Phoenix Arizona Prenuptial Agreement Attorney Ronald V. Thomas is available to assist you with your Arizona prenuptial agreement, whether you are seeking to have one prepared, reviewed, negotiated, or enforced. Mr. Thomas has ample experience in the nuances of prenuptial agreements, and will ensure that your prenuptial agreement best protects your interest. Using a prenuptial agreement, parties in Arizona can change many things about how their future, potential divorce would turn out under the Arizona laws. For example, in a divorce case the judge is going to virtually always rule that income earned during the marriage is community property. However, using a prenuptial agreement, you can decide to treat all income earned during the marriage as separate property. 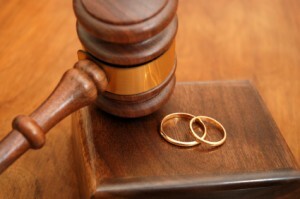 There are many other aspects of the law that can be changed as well, such as how ownership of real estate will be handled, whether spousal maintenance (alimony) will be required, whether children’s college education must be paid, and various other issues that would usually turn out differently in an Arizona divorce trial in the absence of a prenuptial agreement. Whether you are a man or woman facing the important process of drafting a fair and effective prenuptial agreement in Arizona, Mr. Thomas stands ready to assist you with your project. Whether you live or work in Phoenix, Scottsdale, Glendale, Tempe, Mesa, Anthem, Surprise, Chandler, Goodyear, or any other Maricopa County city, we have a convenient location for you to meet with Mr. Thomas. Please call our office today for more information on how Mr. Thomas can assist you with an Arizona custody case that has been filed against you or that you need to file against your child’s other parent.